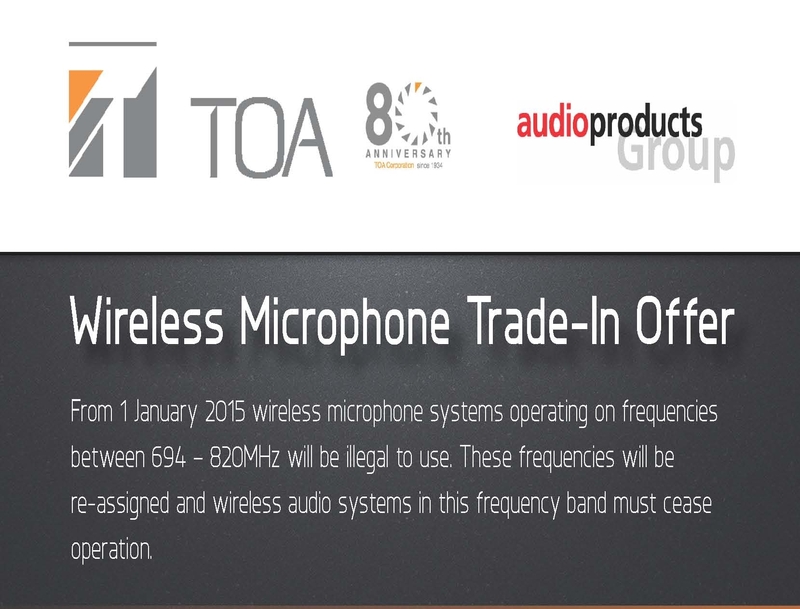 From 1 January 2015 wireless microphone systems operating on frequencies between 694 – 820MHz will be illegal to use. These frequencies will be re-assigned and wireless audio systems in this frequency band must cease operation. 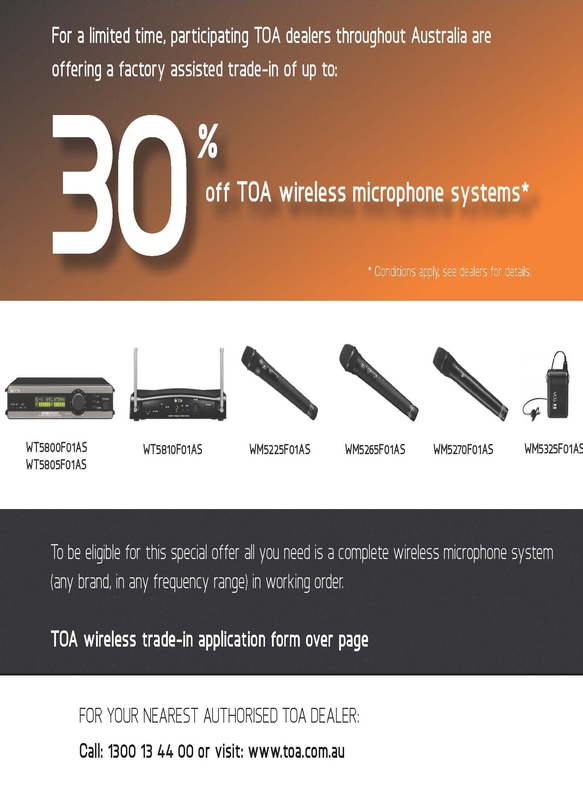 For a limited time, participating TOA dealers throughout Australia are offering a factory assisted trade-in of up to 30% off TOA wireless microphhone systems. To be eligible for this special offer all you need is a complete wireless microphone system (any brand, in any frequency range) in working order. * Conditions apply, please contact the office for more details.